Though guided walks take place several times a year, far more people, both visitors and residents, walk the Heritage Trail unaccompanied. The leaflet we publish has a clear map giving the main features, a brief historical description of these, and a suggested route around the central part of the part of the village. In all, about 2000 copies of the Trail Leaflet have been printed. 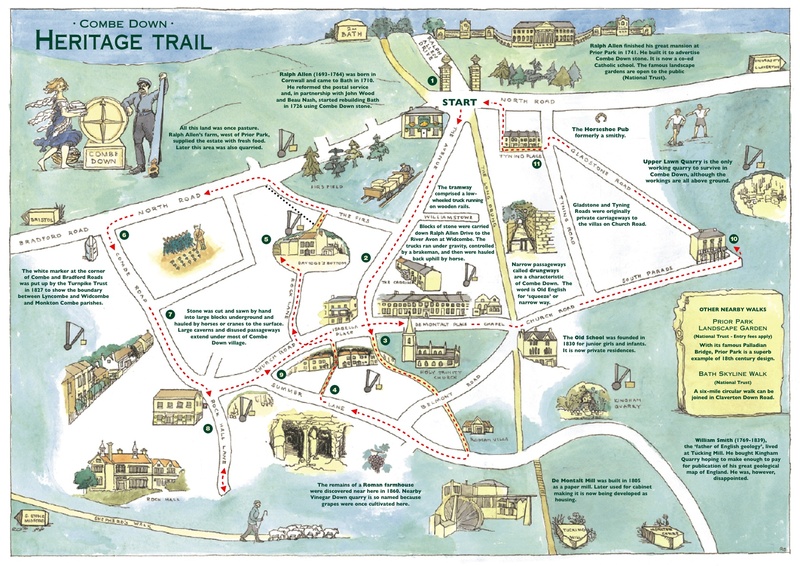 You can get the Trail leaflet from the Society, from Prior Park Gardens, the Tourist Office, and from most local pubs and some shops. It costs only 50p and is a bargain for the walker.